If you’re looking for a new luxury car dealership in Van Nuys, CA and the surrounding areas, then you’ve come to the right place. 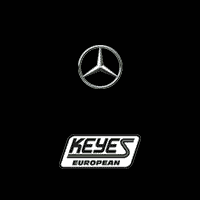 Keyes European Mercedes-Benz has all of the new 2019 Mercedes-Benz models for our customers to choose from. We have cars with the quality and performance you’re looking for in addition to a staff that’s ready to provide you with exceptional knowledge and service. Browse through our top-notch luxury car inventory above and sort the vehicles to fit your exact needs. Do you want a sleek new SUV? You might love the 2019 Mercedes-Benz GLC. If you’re looking for a coupe with a sleek and bold style that will turn heads, then perhaps the 2019 Mercedes-Benz C-Class is what you desire. With all of the latest 2018 Mercedes-Benz models available right here at our Los Angeles new car dealership, as well as new car specials with competitive prices, you don’t need to go anywhere else. Give us a call at 833-805-1788 or stop by Keyes European Mercedes-Benz in person for a test drive. Let us show you the service and knowledge you expect and we’ll help you drive home in a new luxurious Mercedes-Benz car or SUV today! We look forward to working with you soon at our Beverly Hills area Mercedes-Benz Dealer.